The Boston GNOME summit this year is a small, focused hackfest. 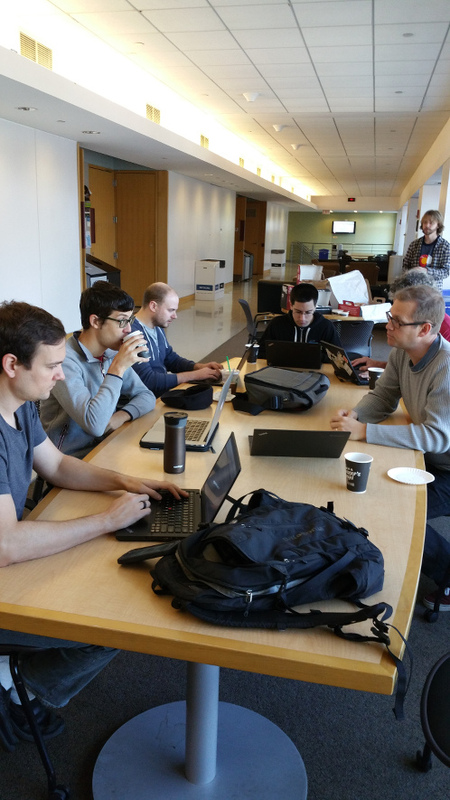 The first day was filled with discussions and planning, with one of the central topics being how to make gnome-builder, xdg-app and gnome-continuous play well together. You can find notes and conclusions from this discussion here. 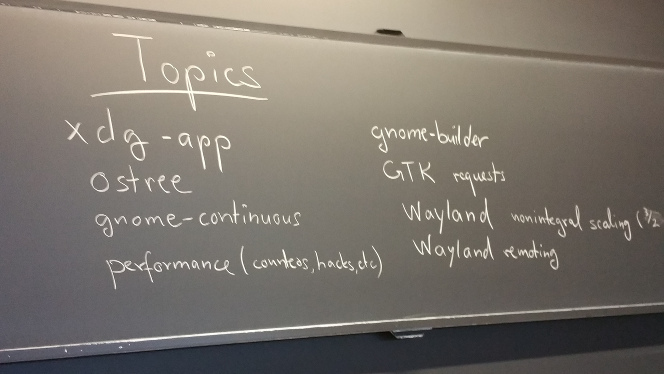 In the afternoon, Christian Hergert gave us an extensive demo of gnome-builder, with led to lots of discussion around future plans. The code for this is already in gvfs git. Owen debugged and fixed various issues with gnome-builder under Wayland: mispositioned code completion popups and window stacking problems with the project chooser. Christian asked everybody in the room what missing features kept them from using gnome-builder, and implemented several of the answers he got. One example is better indentation support in both emacs and vi modes. Giovanni added support to the gnome-continuous build machinery to produce xdg-app bundles, and used it to produce an xdg-app for gnome-weather. 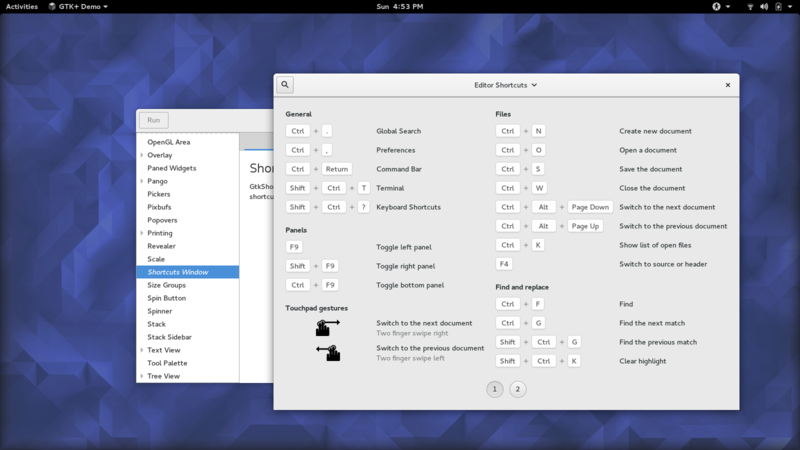 Myself, I took the shortcuts overlay implementation from gnome-builder and adapted it for GTK+. This code can be found in gtk+ git. Thanks to everybody who participated so far. The Summit will continue tomorrow with more discussion and hopefully more productive hacking. I’d also like to thank Walter Bender and the MIT for hosting us, and Red Hat for sponsoring our breakfasts.